Mediumwave DXers routinely use passive antenna devices to enhance signal pickup to a portable or handheld AM radio. Many of these are multi-turn loop antennas wound on a frame, usually square, some as small as 12 inches across. Tuned to resonance with a variable capacitor, the passive loop is placed in the near-field of the radio, coupling the enhanced signal to the radio's ferrite loopstick antenna. The loop antenna is actually sensitive to the magnetic field and not the electric field of the transmitted signal. It outputs a voltage proportional to that field. Antenna performance is influenced by the number of turns and the area of the loop. For an air core loop, the bigger the loop, the bigger the signal voltage. How do these calculators work? Quite simply, they start by using one formula to calculate the inductance of the loop coil itself based on its side length (square coils), or diameter (circular coils), and number of turns. A second formula then takes this inductance value and the capacitance range of the tuning capacitor paired with the loop, then calculates the resonant frequency range (see The Simplified Frequency Formula) which the capacitor and loop combination will tune. Sounds simple, doesn't it. But there are complications. Oh, are there ever complications. 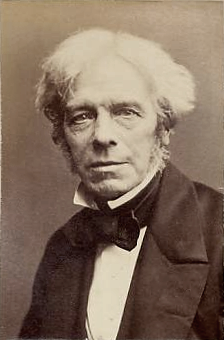 In 1831, English chemist and physicist Michael Faraday, pictured at right, shows that changing currents in one circuit induce currents in a neighboring circuit, thus discovering induction. Over the next several years he performs hundreds of experiments and shows that they can all be explained by the idea of changing magnetic flux. From 1856 through 1873, Scottish physicist and mathematician James Clerk Maxwell, pictured just below at left, develops the laws of electromagnetism, beginning with Michael Faraday's concept of a field of lines of force. Maxwell's calculations show that electromagnetic waves in a vacuum travel at the same speed as light; he correctly concludes that light is a form of electromagnetic wave, boldly predicting the rest of the electromagnetic spectrum. The time of America's Civil War, 1860-1865, is especially known for the advances Maxwell makes in the fields of electricity and magnetism. He examines the nature of both electric and magnetic fields in his two-part paper on physical lines of force, published in 1861, in which he provides a conceptual model for electromagnetic induction, consisting of tiny spinning cells of magnetic flux. 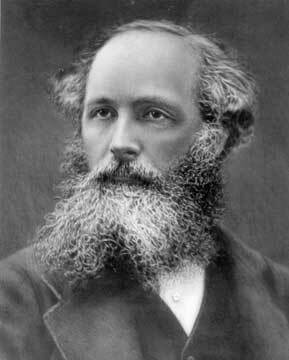 In 1873, he publishes his seminal work, Electricity and Magnetism. Maxwell is considered by some to be the third greatest physicist of all time, behind only Isaac Newton and Albert Einstein. Great physicists are known for uniting theories into a single unified theory, and Maxwell did this with his formulation of classical electromagnetic theory. It leads to radio. Finally, the twentieth century dawns and radio has been born. Engineers yearn for accurate formulas to calculate the inductance of coils. In the early part of the century, three names stand out prominently from the field of science as contributors to the art of inductance calculation. 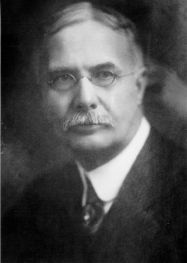 Frederick W. Grover is perhaps the most prominent. Few photographs exist of this American physicist and electrical engineer. Grover worked as a physicist at the National Bureau of Standards starting in 1902, then side-tracked to study with Arnold Sommerfeld at the Ludwig Maximilians University of Munich in 1907. He was awarded his doctorate in 1908, and his thesis dealt with precision measurements and theory of eddy currents to determine a new method for finding the conductivity of metals. Upon receipt of his doctorate, he returned to the National Bureau of Standards. Grover's formulas, scientific papers and articles on induction form the basis of what we know today concerning the calculation of the inductance of a coil in its various forms. His book, Inductance Calculations (1946), is Grover's monograph for engineers and scientists engaged in the accurate calculation of self and mutual inductance. The book is based on the work carried out by Grover and E. B. Rosa during their distinguished careers at the National Bureau of Standards during the first half of the 20th Century. Refining Grover's formulas was Edward Bennett Rosa, pictured at left. In 1901, Rosa was called to the newly-organized National Bureau of Standards, at Washington. There, as physicist, and later on, as chief physicist, he continued through the remainder of his life. When Dr. Rosa began his work in the Electrical Division of the National Bureau of Standards it was his ambition to determine a number of the fundamental electrical constants to a degree of accuracy far exceeding all previous determinations. One of these determinations was the ratio of the electromagnetic and the electrostatic units. This work was started early in 1907 and resulted in the most accurate determination yet made of this constant. Rosa, chief physicist, died suddenly while engaged in work in his office at the National Bureau of Standards on May 17, 1921. 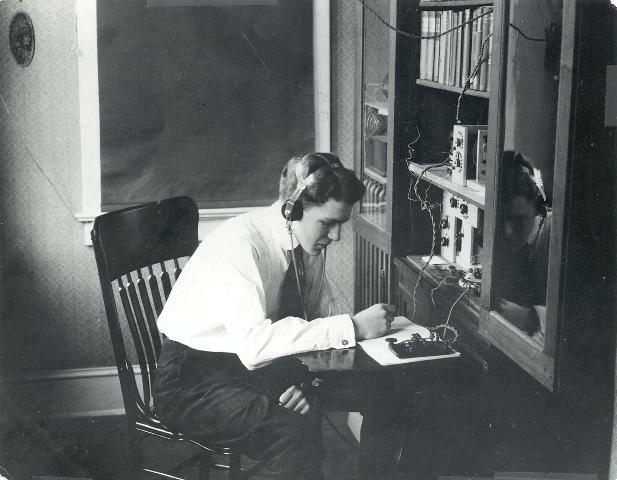 Harold A. Wheeler also figures prominently, pictured with radios at right. During his university education in the early 1920s he worked part-time at the National Bureau of Standards Radio Laboratory. In 1924, Wheeler joined the Hazeltine Corporation, becoming head of its Bayside Laboratory by 1930. Under its auspices, he invented the automatic volume control for radio receivers, patented in 1932. Hazeltine spent the 1920s and 1930s working on various aspects of radio and TV technology. Wheeler enjoyed figuring out simple formulas for engineering questions: computing the inductance of a conductor, formulas for strip lines, transmission-line impedance curves. His formulas continue to be used today. Most of the early inductance formulas developed were for small, round coils, that is, solenoid-wound, circular coils having a small diameter, with length that exceeds at least half the diameter (length/diameter ratio of 0.5 or more). These kinds of coils are more often found in radio circuitry. Our passive loop coil does not meet these specifications. It is usually larger by an order of magnitude or more, normally square or at least non-circular (polygonal in shape), and very short - with a length/diameter ratio approaching 0.1 or less. Grover and others continued to work on the inductance riddle for years, eventually developing equations which approximately fit. I say "approximately" because as the length/diameter ratio approaches zero, the inductance curve becomes skewed and non-linear. A single equation would not fit the curve for all possibilities in this region of coil geometry where the length/diameter ratio edged below 0.5, the region of the "short coil". Complications abound. Loop diameter, number of coil turns, wire spacing (also called pitch, or spacing between coil turns), and in some cases wire diameter all alter the final inductance of the coil, changing the resonant frequency range of the coil/tuning capacitor combination of our passive loop antenna. Are we done? Hardly. A new complication arises. It is called self-capacitance, or distributed capacitance, which further changes the tuning parameters of our passive loop. It is an interesting and controversial subject, adding mystery to our loop calculation, as you will see.